We don’t take it personally that all of your marketing campaigns aren’t giveaways :) After all, just like an investment portfolio, a solid marketing strategy is well diversified across channels, tactics, etc. There isn’t a magic bullet when it comes to being a successful marketer. However, we’ll show you how to improve marketing campaign efforts using giveaways. Great marketers are creative and one way to do that is not silo your marketing campaigns. For example, you may be responsible for collecting information from your customers through a survey, building your blog’s subscribers, promoting content via Twitter, increasing registrations for a conference or webinar, and running a giveaway. However, that doesn’t mean each one of these campaigns needs to be a separate effort. Here we’ll share three examples of how giveaways can be used to enhance the performance of common marketing campaigns. Having thorough profiles built out for your prospects and customers can help with everything from sending relevant and timely messages to creating pertinent content to building or creating better products. A common way to collect information is through surveys. Prospective survey respondents are more likely to take the time to fill out a survey if there is an incentive. That incentive can take several forms. It can be everything from the personal satisfaction knowing their contributing to possibility of a winning a prize, or both! In either case, the end result is a positive one for your survey with increased response and data to work with. 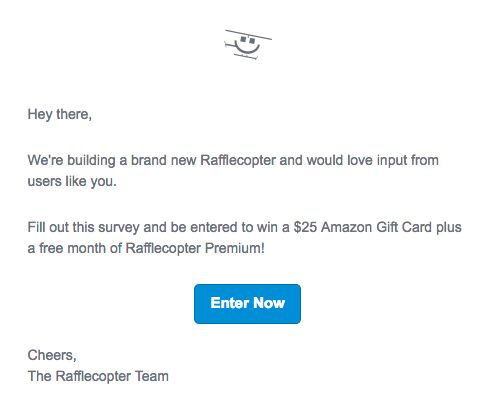 There should be some balance with the prize you offer, the prospective audience, and the time required to fill out the survey. Plus, the resources put towards the survey, including time and money, needs to make sense in relation to the value of the information you’re collecting. For example, offering a very large prize for a one question multiple choice survey will likely yield inauthentic responses and poor actionable data. On the opposite side, a very small prize for a survey that may take several minutes to fill out will likely yield very few responses. There is no magic formula for that balance. It comes down to knowing your audience and testing different combinations of prize-levels with your surveys. This was one of the most successful surveys we’ve ever run with a 74% completion rate. For reference, the survey took respondents an average of just over 3 minutes to complete. If your prospects and customers are on Twitter, retweet campaigns can be an effective way to distribute content that is valuable to your audience. Not only does the content offered need to be valuable to the audience, but so does the message communicated in the tweet itself. The value could be inherent in the content being offered. 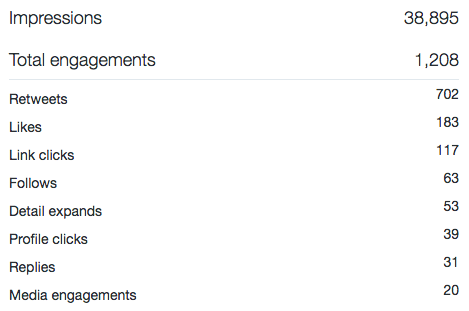 Something so compelling that readers of the tweet want to consume it plus share it with their audience as well. A successful retweet campaign will reach a critical mass of people reading and retweeting the message until it reaches some level of virality. Sometimes you might experience a bit of luck where someone on Twitter with tens or hundreds of thousands of followers will retweet your post. In most cases though, the campaign will need a kickstart to get it rolling. 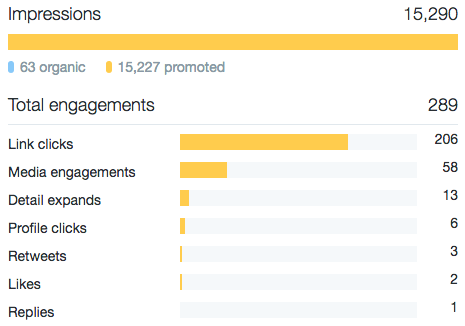 We recently ran two retweet campaigns in which we used two different methods to kickstart it. One was promoting the tweet through Twitter Ads and selecting a targeted audience we thought would find value in the offer presented in the tweet. Across most data points the tweet that included the chance to win a prize were significantly better. Certainly it’s important to note that messaging our mailing list played a big role in kickstarting this campaign. I would encourage you to do the same for a campaign like this. Online and live events are a different, and some might say more personal way, to connect your audience. Getting out from behind a computer screen and talking one-on-one with prospects and customers creates a higher level of connection and authenticity. Even with an online webinar, for a prospect or customer to hear and/or see you is a higher quality touchpoint than reading an email, interacting with your app, or visiting your blog. Adding a giveaway as an incentive to register and/or attend your event can be a great way to get your audience to take that first step. Registrations is one thing, but the purpose of an event for most businesses is to have people attend. To help with this, you can also incentivize attendance with a follow up giveaway. A critical element in all of this is to make sure you deliver compelling and relevant content for your audience to maintain engagement to your brand. Where you’ll need to draw the line when it comes to enhancing campaigns with a giveaway is any promotional effort that requires a purchase or the selection of a winner that isn’t random. Need some guidance on keeping your giveaway legal? You’re in luck! Take a look at the blog post we put together on everything you need to know the phrase “no purchase necessary” and how they’re related to promotions. Can I ask am I able to use your Ts&Cs as a basis for my own giveaway? I know that’s pretty cheeky but I’m guessing you have to have a Ts&Cs to do a giveaway right? Thanks Dave! That is super helpful! 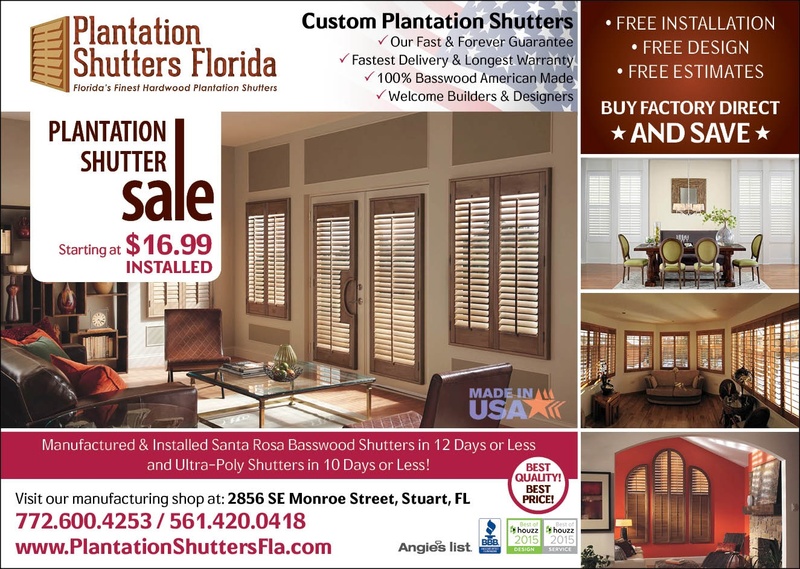 about-plantation-shutters-floridaAll of our plantation shutters are made with high-quality sustainable woods and corrosion-resistant Ultra-Poly and hardware right in our own workshop. We specialize in architectural designs to include: arches, curves, floor-to-ceiling, doors, and unique sizes and shapes of all kinds. 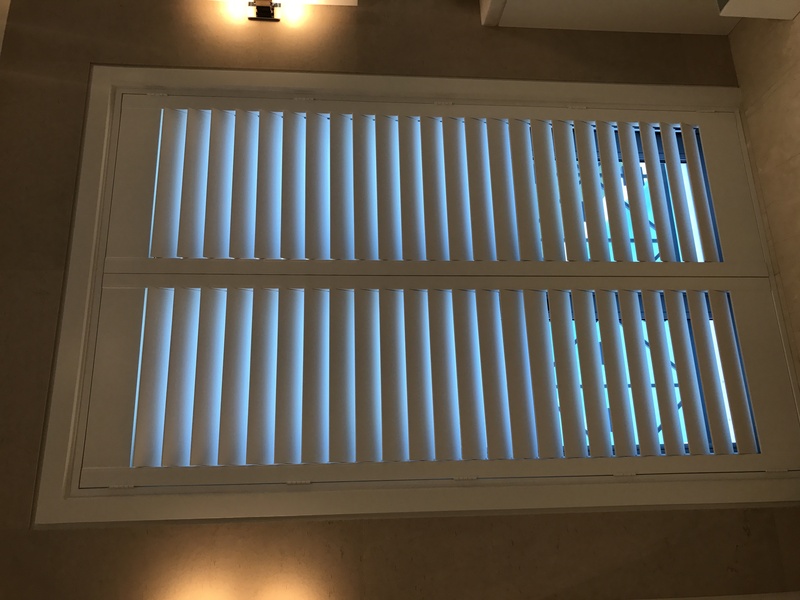 Please view our Gallery page to view some of our projects. We invite you to visit us and to judge our quality craftsmanship, our fine attention to detail, and our uncompromising commitment to quality—in both our raw materials and our finished products. We are a trusted and valued provider to home and business owners throughout Florida and the nation. 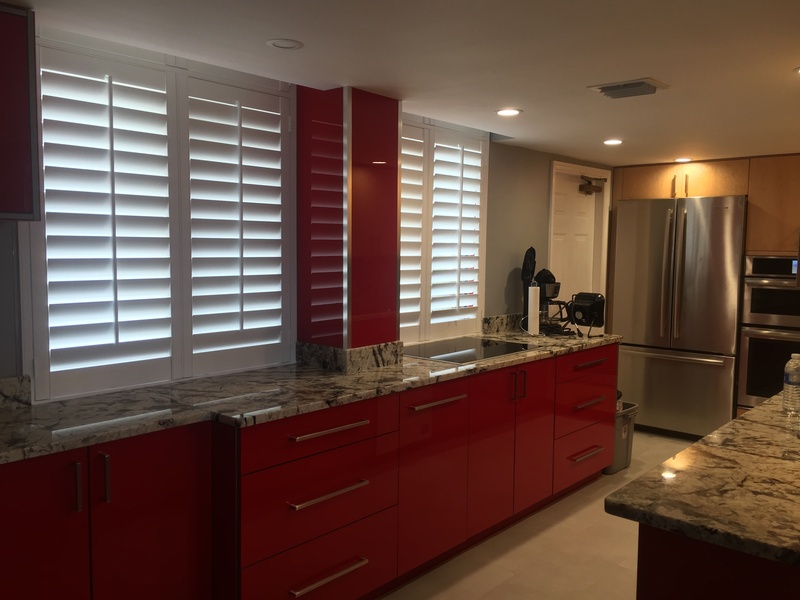 To schedule a visit, get directions, or ask us questions, please feel comfortable in calling our offices at 772-872-6805 or click here to send us a quick note online. In your opinion, Do these giveaways result in a significant amount of visitors who return to the website ? Hey Sagar – they can but it depends on what follow up there is afterwards. If someone runs a giveaway then never produces any further website content that’s compelling to their audience, engages on social channels, or communicates with them, then return traffic won’t follow. Think of giveaways as a tool in the tool box that you can use to help amplify and complement other marketing initiatives. Lovely article. I have always hold these view kinda brighten up today….smiles….thanks. Interesting, I have been thinking about this.